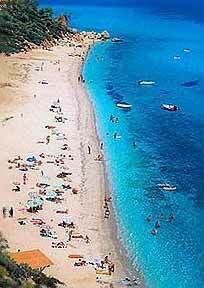 Are you familiar with Halkidiki? Tell others your opinion. Write a review. In the center of Macedonia and to the South lies Halkidiki peninsula 69km Southeast of the northern port city of Thessaloniki between Thermaikos and Strimonikos gulfs. 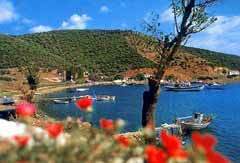 A land of 3000 square km ending in the famous three peninsulas, like fingers which stretch out into the Aegean Sea. Kassandra to the West, Sithonia (or Loggos) in the middle and Athos (Agio Oros) to the East. A blessed place of extraordinary beauty, as the sea curves into the land, unique in Greece. As always in Greece mythology and history mix. It is here that the battle between the giants and the olympian gods took place. 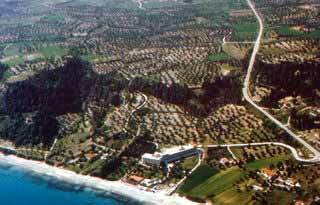 Here in the west part of Halkidiki, the ancient site of Flegra (Pallini) Egelados, the earthquake giant, is burried. 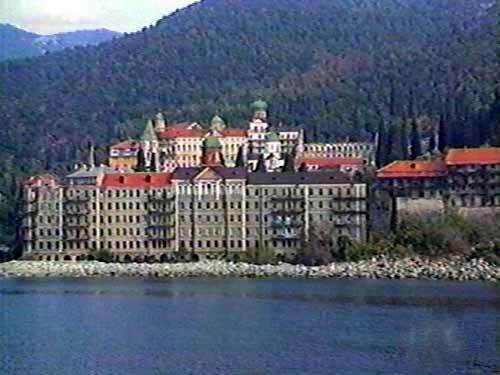 It is also here that Athos has been reformed by the rock that giant Athos threw against the Gods. Even Sithonia is named after Poseidon's sun Sithon. More on history section.